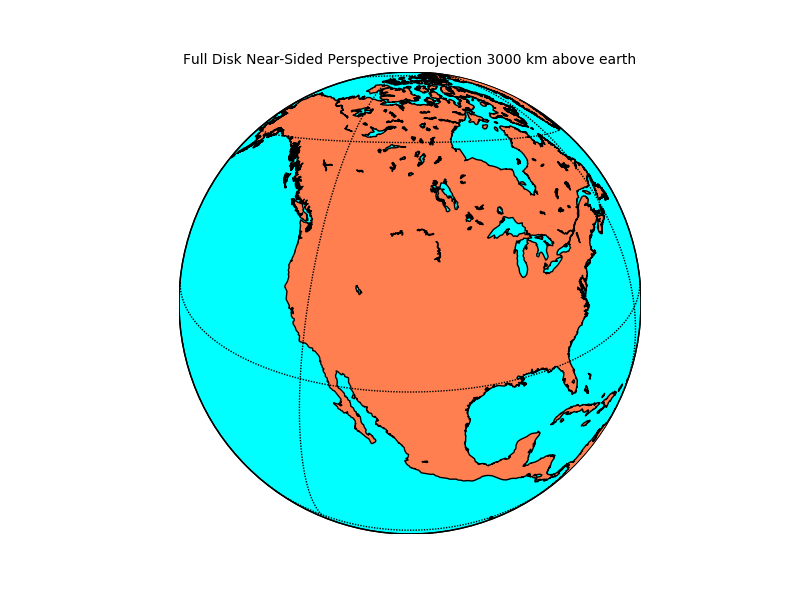 The near-sided perspective projection displays the earth as a satellite (in orbit at an arbitrary altitude above the earth) would see it. # satellite_height is the altitude of the camera. # altitude of camera (in km). # resolution = None means don't process the boundary datasets. # plot just upper right quadrant (corners determined from global map). 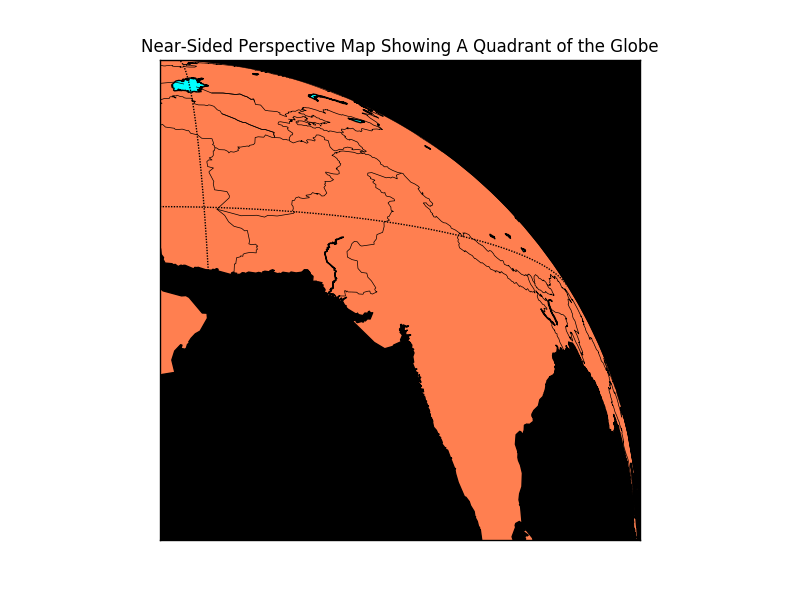 # left and upper right corners in map projection coordinates. # where one of the corners does not lie on the earth.